Some of my family members prefer a less “sweetened” yam. This variation is creamy, delicious and also infant friendly for first time eaters! add potatoes to dutch oven. Cover with water and bring to a boil. 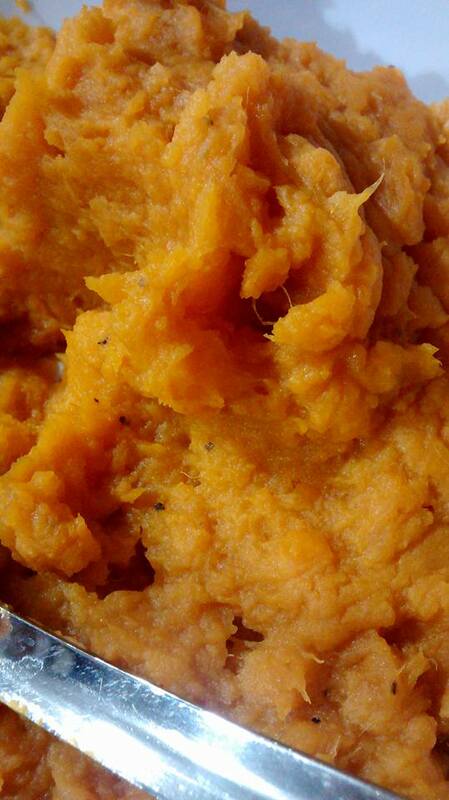 Boil for 20 minutes or until sweet potatoes are fork tender. Strain and add to mixing bowl. Add pepper, salt, milk, brown sugar, nutmeg and butter. Whip with wire whisk or beaters until creamy. Serve immediately.